The newest version of Google Goggles has some nice upgrades—barcode scanning is faster, and it'll recognize and search print ads for you. 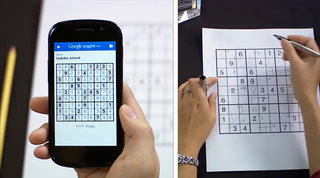 But, really, the hands-down coolest feature is automatic Sudoku solving. No need to use your brain!